I am part of a small subset of society, a rather exclusive club, that actually really likes bran muffins. For me, it’s not an acquired taste or something I choke down because they are good for me. I’ve always liked them, ever since I was a kid. The ones my mother used to make were actually from a packaged mix (sorry, Mum, if I am giving away one of your trade secrets!). But they were heavenly straight out of the oven and slathered with butter. And while in grad school in Tempe, Arizona, I fell in love with the honey bran muffins from the Coffee Plantation. I could never quite figure out how they got the bottom of the muffin soaked in honey like that, but it was a mystery I was quite happy to leave unsolved as long as I could simply pay a few dollars for one. The problem with so many bran muffins, and the reason why so many people don’t like them, is that they are often as dry as sawdust. Many is the time I have bought a bran muffin, thinking it would be the healthier choice, and ended up just throwing it away. Bran needs a lot of moisture to make it palatable, a fact which woefully escapes many commercial muffin-makers. 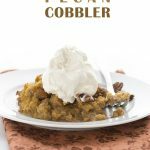 Fortunately for me, I found a great recipe several years ago in my favourite basic reference cookbook, The America’s Test Kitchen Family Cookbook. With both buttermilk and applesauce to offset the bran, these muffins are anything but dry, and the deep flavour from brown sugar and molasses is wonderful. I wanted to make something for the kids to have as a healthy snack at school, and the crisp fall weather had me thinking pumpkin muffins. But my daughter wasn’t a fan of the last pumpkin muffins I made, so I knew I had to shake things up a little. I wanted them to be healthful, but to feel like a treat to the kids. So I decided to take the basic bran muffin, swap pumpkin puree for the applesauce, reduce the sugar and sub in whole wheat for all-purpose flour. And then I tossed in a handful of mini chocolate chips, to lure my willful daughter into eating them. The Results: From the mouths of babes: “yummy”! These little muffins got rave reviews yesterday morning, and both kids requested them this morning as school snacks. Score one for Mummy! My husband quite liked them as well, and devoured two of the larger ones after his morning run. I am told that the pumpkin flavour goes well with the bran, and that they are incredibly moist. And the little taste of chocolate doesn’t hurt either, I am sure. I found that there was too much batter for my 24 cup mini-muffin tin, so I also managed to make 6 regular-sized muffins. Perfect for all your family members, large and small! Preheat the oven to 375F and generously grease 24 mini-muffin tins and 6 regular muffin tins. Or use just the 12 larger muffin tins. In a large bowl, stir buttermilk and bran together and let sit for 5-10 minutes. If you are using buttermilk powder, simply add 5 tbsp to the bran and then stir in 1 1/4 cups of water. Whisk in pumpkin, raisins, chocolate chips, brown sugar, egg, melted butter, molasses and vanilla. In a smaller bowl, whisk together flour, baking powder, baking soda, spices and salt. Gently fold flour mixture into the bran mixture with a rubber spatula until just combined. Spoon batter into prepared tins, to just the top of each tin. Bake until tops are set and a tester inserted into the middle comes out clean, about 14-18 minutes for mini-muffins, and 20-24 minutes for larger muffins. Let muffins cool in pan for 5 minutes and then transfer to a wire rack to cool another 10 minutes before serving. Makes 24 mini muffins plus 6 regular muffins, or 12 regular muffins. i never liked bran muffin, i always found the taste of applesauce too strong for muffin but using pumpkin puree instead is a great idea, and the chocolate chips, I'll go with 2 please. 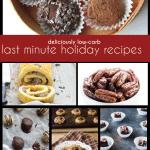 These look really good, I love bran muffins and your pumpkin and chocolate chip additions make it just perfection! Always happy to have a kid and Dad approved muffin! I'm working on getting healthier ingredients into my daughter and this just might do it for her too. I'm in you small club! Bran muffins have been a favorite of mine as long as I can remember, but yes, they do have to be done right. A good, moist, bran muffin is the best! 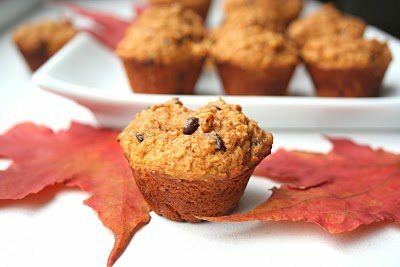 Bran muffins with pumpkin sound wonderful! 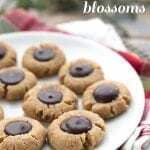 I can't get enough of recipes that are healthful and tasty :)! Great recipe! carolyn, these look absolutely perfect! I am going to make these and freeze them. this way, on those very hectic mornings, breakfast can be ready in a flash! 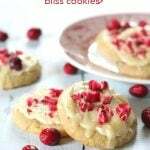 have you ever tried them with fresh cranberries? may have to give them a go! i also love bran muffins!!! this recipe looks great. I love bran muffins too. Wonderful recipe. I learned to love bran. Anytime I can eat something that tastes delicious and sneaks in good-for-you stuff I'm all in. This is a little muffin of love. These look amazingly delicious! great recipe! Aha! all the bran muffin lovin' folks are coming out of the woodwork. I kinda like them too. I would definitely love these. I haven't gotten around to baking pumpkin muffins yet this fall, so your post got me thinking that I need to make some. I love that you added bran. I made some apple flax muffins a few weeks back and I didn't really care for the flax. Bran would be better. oooo these are definitely on my to make list after Thanksgiving!!! Glad your family enjoyed this! 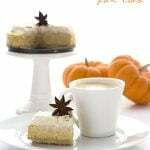 I have been on a real pumpkin kick since fall began… these look yummy! Congrats on making the Top 9! Pumpkins, fall, and baking is in the air these days, and in your oven too! 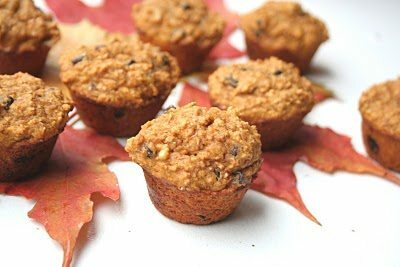 These muffins are a wonderful way to enjoy both fall flavors and higher fiber fare. I love bran too. Guess I'm as strange as the rest of the bran lovers. I love bran muffins and pumpkin never thought of combining the two – yum! What a great recipe! The muffins are soft & fluffy, just sweet enough, and healthy. Love it! I used whole wheat white flour, and ran out of pumpkin just shy of a full cup, so I topped it up with applesauce. I also doubled the cinnamon, increased the ginger slightly, and left out the raisins. 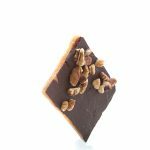 These are terrific and will be a staple in our house for sure. Thank you! Delicious! 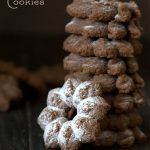 This recipe looks yummy, but with the wheat flour and bran, it is not gluten free. With the brown sugar, it is not low carb. I am confused. I thought all your recipes were low carb and gluten free.